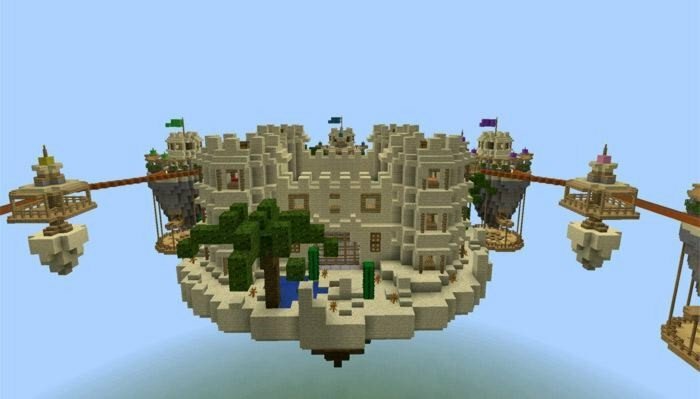 Skywars is PvP map with floating in the sky islands, it can be played by up to 8 players. 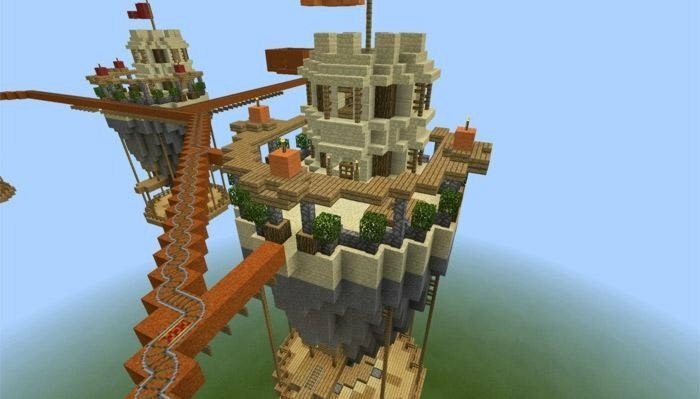 Each player will start on his own island, then all must run to the big island in the center and start the fight. The one who will be fastest, can get the better gear from chests in the center.